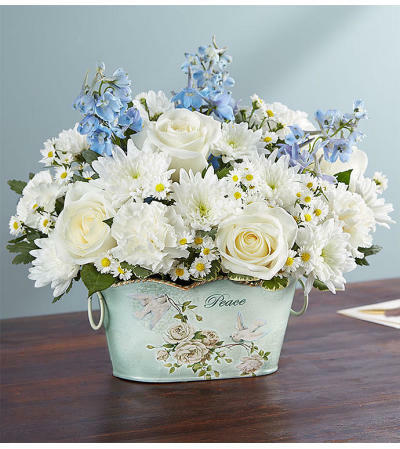 A peaceful bouquet of blue and white can soothe in a time of loss. Our gracefully gathered arrangement arrives set in a decorative oval-shaped planter featuring a dove, the bird of peace, in raised detail on the front. 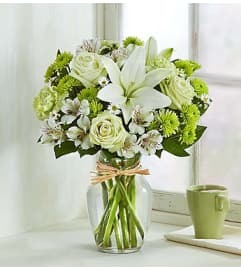 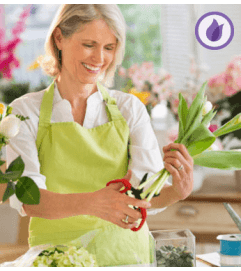 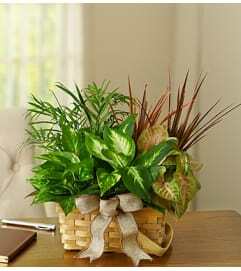 Elegantly inscribed with the word, Peace, it’s a comforting gift makes the perfect gesture of your sympathy.